A ‘pot luck’ can be a great idea, where everyone brings in a dish. It may be a good idea to create a list of food items for people to choose from and tick off, so you don’t end up with seven bowls of yams. It is also important to remember that someone may be vegetarian, have allergies or other dietary requirements. Over the past few years, Thanksgiving decorations have become more and more popular and are a great way to set the mood for a Thanksgiving party. Instead of jumping right to Christmas, you can start the holiday season off by using Thanksgiving decorations around the office instead. When your employees start to see Thanksgiving decorations around the office every day, it can create anticipation for an office Thanksgiving party. When you set the right tone for a holiday party, everyone will start to get excited about it. The temptation for an office holiday party is to make everyone feel thankful for having a job. But that can only help to take away from the warm feeling that this holiday is supposed to bring. Instead of focusing on the company, you should focus on the idea of family for the office Thanksgiving party. You can have the party at a time when the office is closed and allow employees to bring their family members. For something a little different, you can insist that employees bring the same family members to the party that will be at Thanksgiving dinner. This kind of focus on family helps to create a stronger bond between your employees and the company. 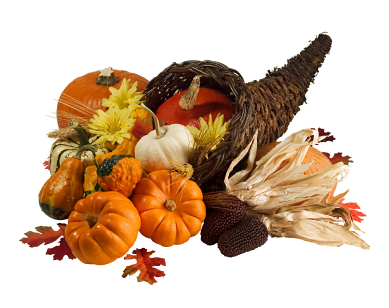 Each family has a special tradition that they follow at Thanksgiving, and most of those traditions revolve around food. Encourage employees to bring one of the traditional family dishes that will be served at their dinner table to the party. It gives everyone a chance to share a bit of their family tradition with their co-workers. Another way to incorporate family traditions into the company Thanksgiving party is to encourage each employee and their families to make handmade decorations that will be on display at the party. You could ask each family to make table centerpieces with a Thanksgiving theme, or wall decorations that can give the gathering a family feel. A few games could get the party started, with little prizes. How about pin the tail on the Turkey, a scavenger hunt or even a Thanksgiving Holiday Hat competition. An office Thanksgiving party is a wonderful idea and something that your employees will appreciate, however it might be best not to hold it the Wednesday before Thanksgiving. Most people are extremely busy that day and may not have time for a party. A good day to have your company Thanksgiving party is the weekend before Thanksgiving. This allows everyone to be able to attend and does not interfere with the company work schedule. An office Thanksgiving party is a holiday party and it should be looked at as something fun and exciting. You can get the party kicked off the right way by creating colorful and fun invitations that are either given to employees at work, or mailed to their homes. The Thanksgiving holiday should be more than just a reason to close down the office for two days. It should be something that brings your staff closer together and encourages family traditions. A fun and family-oriented office Thanksgiving party can be the ideal way to encourage teamwork and send your employees off on the holiday on the right note. It is a good time to show appreciation to your employees for a job well done, and also any goals that have been accomplished. This entry was posted on Sunday, November 9th, 2008 at 2:34 pm	and is filed under Office Etiquette, Office Relations. You can follow any responses to this entry through the RSS 2.0 feed. You can leave a response, or trackback from your own site.